In case it's not clear, buttons and clasps on the clothes of the characters in The Eldritch Age have special significance. For most people, each hole represents a member of their direct family or someone close enough to warrant being considered a part of them and the threads are the metaphorical links between these people. 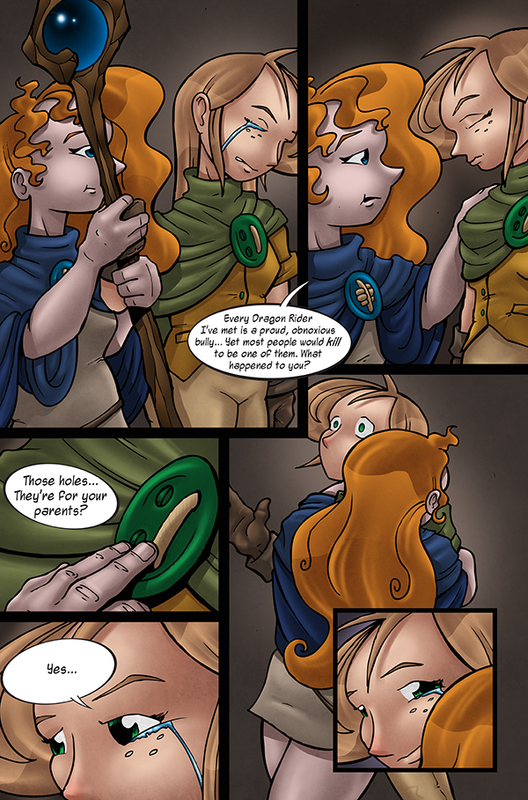 Knowing that, I invite you to go back and take a closer look at some of the character's buttons and clasps. I should point out that Masters at the Academy do not follow this rule, having a single hole which represents their commitment to knowledge. So I'm going to try to build a bank of pages once again so that I'm no longer posting one the day of anymore. The long con in this is hopefully to have enough advance by this summer that I can put out all of Tome 1 (volume 1 through 4) as a print-on-demand and Kindle books. Hopefully with a bit of extra content.